We live on eighty acres of country highly populated by whitetail deer. 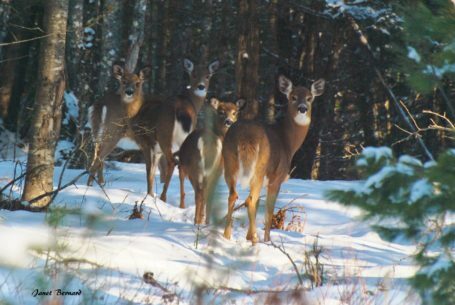 I catch glimpses of these winter residents as I walk through their woods. They gather together and stay close to the cedar ridges and the river that runs between them, using the same trails day after day and year after year.